How to Recharge DTH through SBI Online Banking ? Home / Finance / Banking / How to Recharge DTH through SBI Online Banking ? State Bank of India(SBI) is undoubtedly the largest Bank in India with 16333 Branches including 191 foreign offices in 36 Countries. 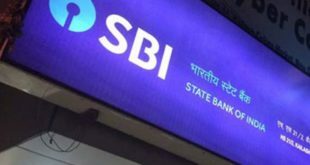 You must already be having a SBI Bank Account and you must have also completed the process of Internet Banking Activation in SBI. Now, you can Top Up or Recharge your DTH through SBI Online. The step by step procedure mentioned in this article will help you to recharge DTH using SBI Online within seconds. Let us now get started with the complete procedure to recharge DTH through SBI Online Banking. You can select from the list of service providers which is as follows : Airtel TV, Dish TV, Reliance TV, Sun Direct, Tata Sky, Videocon D2H. How to Recharge DTH in SBI Online ? Let us now begin with the Step no.1 to TopUp or recharge DTH using SBI Online Banking. First of all you need to Open the SBI Online Website –> https://retail.onlinesbi.com/retail/login.htm. Click on Continue to Login to reach the SBI Online Login Page. 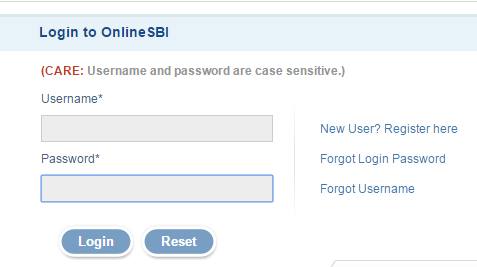 Please enter your Username and Password and click on Login to Login to your Online SBI Account. Now you need to click on the Bill Payments tab in the Top Menu. 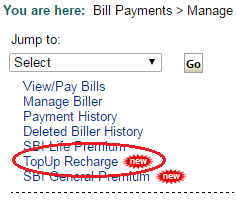 Click on TopUp Recharge option to proceed for DTH Top Up or Recharge in SBI Online/Internet Banking. Now click on the DTH Recharge option to proceed for DTH Recharge in SBI Online. Select the Service Provider : Select the Service provider from the list of service providers. Enter STB Number : Enter the STB Number/Customer ID of DTH which you want to Recharge/TopUp. Enter TopUp Amount : Enter the TopUp/Recharge Amount. Click on ‘Submit’ to submit your recharge request. Now you will be asked to Confirm your transaction. This is to show you all the details which you entered previously. If you have made any mistake, you can ‘Cancel’ your transaction here. If you are pretty sure about the transaction and finally want to recharge your DTH, then click on ‘Confirm’. As soon as you click on ‘Confirm’, your DTH will be recharged and you will get the Balance or the Service you requested for. You will also receive SMS from SBI and the concerned DTH company about the recharge transaction. You would finally be able to see a screen saying that ‘Request processed sucessfully’ with the Reference Number. Note : Please keep a Note of this Reference Number to provide to SBI in case there is any issue with the DTH recharge process in SBI Online. 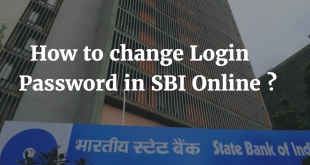 How to change Login Password in SBI Online ? 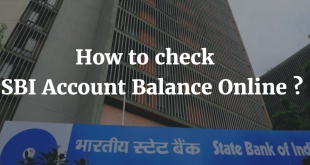 How to Check SBI Account Balance Online ?